I was able to watch all 105 of James Paxton’s pitches in yesterday’s whitewash of the Boston Red Sox. Throwing fastball after fastball the visitors could not hit locate or hit squarely, the big southpaw left the game after eight innings, with the win firmly in hand 3-0. Nothing flashy-five hits allowed, two strikeouts and two walks allowed, and a team of bewildered Bosox. Yet, as Paxton left the mound for the last time in the game, against a backdrop of Fernando Rodney throwing in the bullpen, with a save situation on the the line, all I could think of was “Oh my god!! Three runs aren’t enough! !” Sure enough, Kyle Seager heard my telepathic message and hit a two-run homer in the top of the ninth. No save situation, Rodney sat down, and Carson Smith came in to close out the the last inning on 15 pitches. I am tired of the Fernando Rodney Hire Wire Act and Traveling Circus. It’s official. Make no mistake, I like the man, find him funny and charming, and clearly he is bonded to his manager and teammates. But I find nothing funny or charming about his 5.65 ERA, his 4.90 FIP, or his 1.605 WHIP. A pitcher cannot allow that many base runners in tight games and believe it will turn out well. We’re talking 15 hits and 8 walks in 14.1 innings pitched. Recipe for disaster. Rodney has allowed runs in five of his 15 appearances, including three of his last four. The only pitcher who ever made me feel the same was Heathcliff Slocumb in 1997. You remember him. Desperate for a bullpen leader, the M’s sent premier catching prospect Jason Varitek and young pitcher Derek Lowe to Boston for Slocumb after one too many Norm Charlton and Bobby Ayala fiascoes. Perhaps the worst trade in Mariner history (though the jury is out on Michael Pineda for, ulp, Jesus Montero.) You might remember the ’97 M’s team. 264 homers as a team, set the major league record. They scored 924 runs. But the bullpen was a whole bunch of terrifying. The M’s were able to load up on runs, ride their decent starters and hold on for the last three innings. Slocumb became your esteemed closer with his 4.13 ERA, 3.74 FIP and 1.447 WHIP. No lead was safe. Are the M’s making their move? The Mariners summarily shot the Padres last night amid a hail of home runs, disposing of their crumpled bodies 11-4. Kyle Seager (4), Logan Morrison (6, ) Mike Zunino (4,5,) Justin Ruggiano (1,) and Nelson Cruz (15,) all found the seats, and sent 16,148 fans home happy. The six homers in a single game ties the club record set in 2004. The win is the M’s fourth in a row, the longest win streak of the season. The Mariners seem to have turned things around at home. After a very disappointing 4-6 road trip to Texas, Houston and Anaheim, a few things seem to be turning around. After a series of walk-off implosions by the bullpen, the team is on a nice little win streak. Sometimes it’s easy to get too locked into a single game, a single series, or a single week as one attempts to evaluate the success or failure of a season. The Mariners will play their 33rd game tonight, which will nudge them just over the 20% games played mark of the season. It’s difficult to say if the Mariners are dragging themselves up to the level of contention we expected when the season began, or if this is merely a blip in the arc of a fatally flawed team. Yes, they swept a Texas team that is gutted by injury. They swept an Oakland team that isn’t very good, horribly undone by a bad defense and lousy offense. They were clobbered in four games against a blazing hot Astros club that was in the midst of a nine straight run, but now seems exceedingly mortal. So, in the grand sweep of things, there some things to be positive about. The rotation, while far from perfect, seems to be developing some consistency. Felix and Happ continue to make consistently strong outings. Though Paxton struggled with his command last night, each of his last three outings have gone at least six inning. Tai Walker is still a bit of a wild card, and hasn’t gone more than five innings in his last three starts. Roenis Elias, filling in for the injured Hisashi Iwakuma, has improved in each of his three starts. Walker better figure things out or he may find himself back in Tacoma when Iwakuma returns in June. The bullpen, with one notable exception, seems to have turned around its inconsistency. It’s clear the front office has read its own press, and they’ve acted quickly to deal with the walks, and blown leads. Yoervis Medina and Dominic Leone were banished to Tacoma after walk off losses in Anaheim. Joe Beimel and Mark Lowe were called up and with the arrival of Tom Wilhelmsen from the DL seemed to make their presence felt in the Oakland series. Danny Farquhar continues to struggle with location or a tendency to “nibble,” leading to baserunners and bad results. Tough to say how long Lloyd will let that continue. Though it’s hard to say the problem is solved, the Mariners do seem to be scoring a few more runs. More bats are coming to life and the offense seems less dependent on a barrage of solo home runs by Nelson Cruz. Logan Morrison and Robinson Cano seem to be heating up. Seth Smith continues to be a regular contributor. Could Mike Zunino’s pair of homers last night be sign that his early hitting woes are over? With others chipping in occasionally, the player that most concerns me is Dustin Ackley. Of all the Mariners, he has the most to prove this year, and so far his limited contributions are simply not cutting it. Nelson Cruz continues to amaze me. I, like most of my friends, considered him to be a big guy who could hit a bunch of home runs in a relatively small park and would strike out a lot. I completely discounted his defense or other contributions to the club. I could not have been more wrong. The man, so far, has been a great hitter on this team. Power from foul line to foul line, but with the sense to shorten his swing with two strikes and hit the ball up the middle. His home runs in Houston should convince anybody with eyes that the man can muscle ’em out of the freakin’ Grand Canyon. I’m impressed with his speed and his range in the outfield, though I’m not sure he has great defensive instincts. He has a great arm in right, but isn’t overly enamored of the gun, preferring to play smart and hit the cutoff man. Together with Felix, he’s been the show thus far. The front office hasn’t sit still while the team sputters off to a slow start. Moving Cruz largely to right, reducing Ackley’s playing time, the bullpen swaps, moving Chris Taylor to shortstop are all more than tinkering, but less than panicking. News across the web today suggested Rockies shortstop Troy Tulowitzki could be available for the right deal. ESPN’s David Schoenfeld immediately linked the Mariners to Tulo as a team that could have interest. 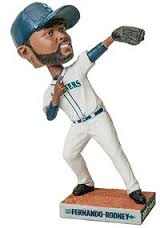 It almost certainly would cost the M’s pitching they could not replace. But it wouldn’t shock me if Jack Z’ and Lloyd McClendon tried to upgrade either the outfield or DH with Cruz spending less time there and offensive struggles by Ackley, Rickie Weeks and Austin Jackson. Nobody said it would easy. The Seattle Mariners cruised into Minutemaid Park fresh off a sweep of the Texas Rangers. Their opponents were the surprising., red-hot Houston Astros. The Mariners scored two runs in the first inning when they loaded the bases against Astros starter, Scott Feldman. Nelson Cruz grounded into a double play, scoring Seth Smith. Kyle Seager followed with a single to push across Austin Jackson. Bingo, Mariners starter James Paxton had a 2-0 cushion. Unfortunately, it was all the runs the would get. But the real story tonight was the pitching of Paxton. After last year’s promising season, the tall lefty stumbled out of the gate. Fighting injury most of spring training, Paxton had a strong first start against the Angels April 7th, only to be undone in his next three games. His last two starts, April 19th against the Rangers and April 25th against Minnesota, Paxton went only 4.2 and 2.2 innings respectively. Last night manager Lloyd McClendon was looking for more. Paxton gave his teammates seven strong innings. Showing command of his fastball and devastating 12-6 breaking pitch, Paxton allowed only five hits and struck out seven. The Astros lead the league in home runs and Jose Altuves. Though the former were absent in Thursday’s game, the diminutive second baseman would be their undoing. After the Mariners fruitful first inning, the Astros responded with a run in their half of the first when Evan Gattis scored Altuve on a ground out. The M’s nursed a one run lead into the 6th when Gattis repeated the formula again to drive in Luis Valbuena on an infield out. Though the Mariners had plenty of base runners, with 11 hits, they could not manage the clutch hit to score the decisive run. The Mariners had runners in scoring position in the 2nd, 4th, 8th, and 9th innings. By the 8th inning, both teams fully deployed their bullpens, and sent the game into extras. With Mariners right-hander Dominic Leone pitching, Marwin Gonzalez doubled. Colby Rasmus followed with a walk, bringing up Altuve. He smashed the first pitch he saw into the left field corner to score the winning run. Finis. The strong outing for James Paxton should give Mariners hope as the M’s continue to search for consistent offense in their four game series against the Astros.